SMHD is dedicated to creating attractive, affordable housing in the 14 southernmost counties of Mississippi. Learn more about how the organization's mission is making a difference by meeting some individuals who now call an SMHD community home. Ina moved into an SMHD community in December 2012. The 64-year-old McDonald's restaurant crewperson said since then, she feels "blessed every day." "I live in a beautiful new home that I can afford, with all the amenities and support services - who wouldn't be happy!" Ina said with a broad smile. She added that while her favorite features of her new home are the spacious rooms, the washer and dryer hookups and an enclosed garage, it's the "peace of mind" her safe, attractive and affordable home SMHD has given her that she also values. Since launching in 2007, SMHD has provided approximately 900 homes, many to seniors, like Ina, who were in need of affordable housing. At 63, Dixie sadly lost her husband. But the Wisconsin native has lived in an SMHD community for more than a year, where she has many neighbors in her age range as well as access to several supportive services. She likes the location of her new home, as well as the landscaping service, freeing her from the task of yard maintenance. She also likes the layout of her home, especially the kitchen, with ample counter space and a pantry. And, as with all SMHD developments, Dixie's neighborhood offers a recreation and community center and business center. As well, she can participate in activities such as nutrition and finance seminars. These features give her a sense of belonging and community. "It means very much to me, given my widow status," Dixie said, "that I have a new, beautiful house to live in that I can afford on my Social Security funds." 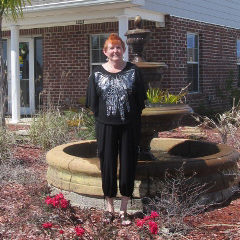 For Sheila, living in an SMHD community means finding independence. "This is the first time I have been on my own," she said proudly. The 45-year-old manager moved into her new home, which she shares with her daughter, in 2012. She said she loves "everything about it," but most of all, "it makes me feel safe." Because SMHD has made great strides to provide affordable housing in South Mississippi, individuals like Shelia are finding clean and attractive communities in which they can live and raise their children. "I can afford to live here - that means a lot to me." 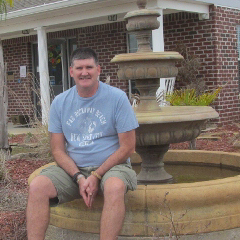 Many disabled veterans, like Jonathan, struggle to find homes that not only meet their needs, but also fit their financial boundaries after serving our country. But two years ago, the West Virginia native and his wife Christine learned about the affordable and attractive communities offered by SMHD. The couple quickly found their perfect home in a Gulf Coast SMHD community, and they said not only do they appreciate the manageable rental fees, but they love the fenced back yard and two-car garage, as well. "This is our first brand-new home. 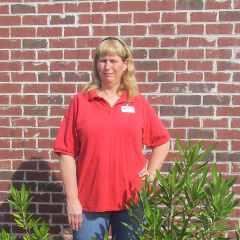 And all the employees in the office are kind, extremely helpful and patient," Jonathan, 47, said. "Being on a fixed income, we never thought we would be able to live in a place like this." Jonathan and Christine are among hundreds of families who now have a place to call their own, thanks to SMHD's efforts to provide affordable housing in the lower 14 counties of South Mississippi. Joyce was looking for a new place to call home; however, she was having a difficult time realizing that after half a century, she would be living in an apartment. But things changed when, "by accident," Joyce, 74, discovered her SMHD community. "It was a pleasant surprise to find this place," the Mississippi native said. "With my disabilities and my age, an affordable home means a lot. And my children are secure with this," she added. Joyce enjoys her spacious home, the landscaping and quiet areas, the friendly people and being able to walk around her neighborhood. And she now enjoys living in her new home more than she ever thought possible. 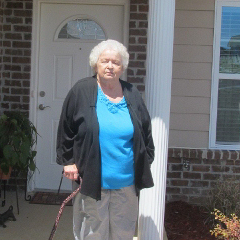 Through the unique approach of mixed financing, SMHD has helped Joyce, and hundreds of other seniors and families find safe, attractive and affordable housing in South Mississippi.